Fire Safety Rocks: Have Fun Chica and Kevin! Good luck to our good friends, Kevin and Chica from the Sunny Side Up Show on Sprout! 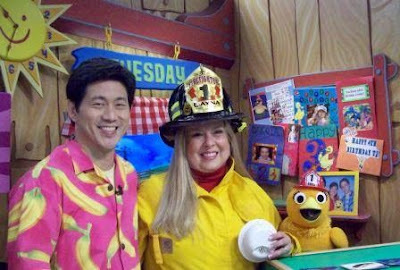 Firefighter Dayna and I hope you have fun this week sharing the fire safety message. Learning about fire safety is so much fun! To learn more about this exciting project, click HERE!